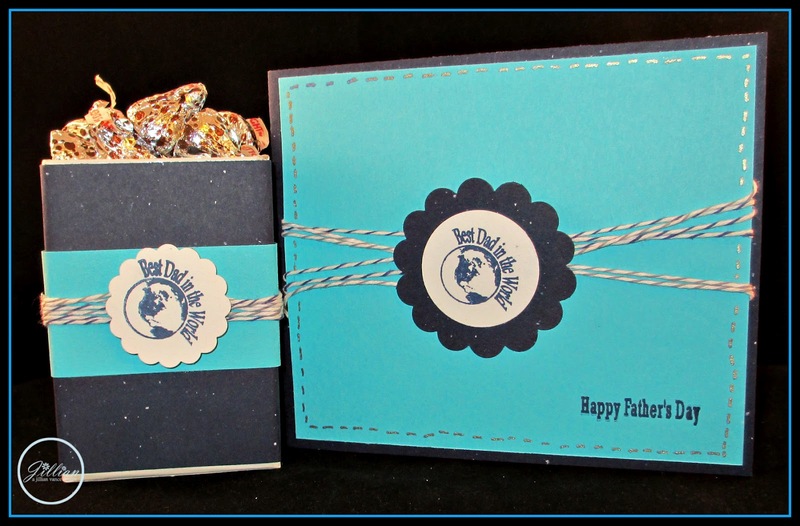 Princess & the Paper presented by A Jillian Vance Design: "Best Dad In The World"
"Best Dad In The World"
Hey! So today, I have some Father's Day projects. 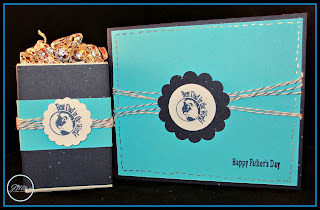 We all have amazing dads, so I wanted to use the "Best Dad In The World" stamp. My dad's office is right here in our house! Just on the lower level so when I want to see him I can! He does go do field work to ~ normally while I am in school, he is a land surveyor but then also has paper work to do after the field work. So on his desk I thought he needed a pencil box. After I decorated it, I filled it with his favorite Hersey Kisses! So he can eat them and work . . . then he can use it for his pencils and pens! He is the Best Dad in the World!